In the event of a fire, quick and decisive action can make all the difference. Fire safety training provides candidates with the knowledge necessary to take effective action when you need it the most. Choose from all our Fire Safety training courses below. We run our open fire safety courses from our training centre near Boroughbridge, North Yorkshire. In addition, you can book an onsite fire safety course throughout Yorkshire and North East. 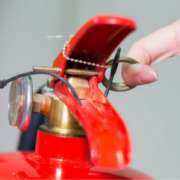 Is fire safety training a legal requirement? The Regulatory Reform (Fire Safety) Order 2005, shows your fire safety requirements. This states that companies must provide adequate fire safety training when a new employee joins. It also applies when employees have a new or increased risk. This is therefore likely to occur when changing job roles. How often is fire safety training required? The same legislation, as above, states that repeat training must be done, where appropriate. We recommend reviewing your training every year to see whether it needs renewing. 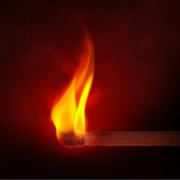 What is the role of a fire warden? Fire wardens will require higher level fire safety training to aid them in their job role. Perfect for training groups of your staff at the same time. Plus the dates & times will suit you. Course content can more easily be tailored to specific requirements.